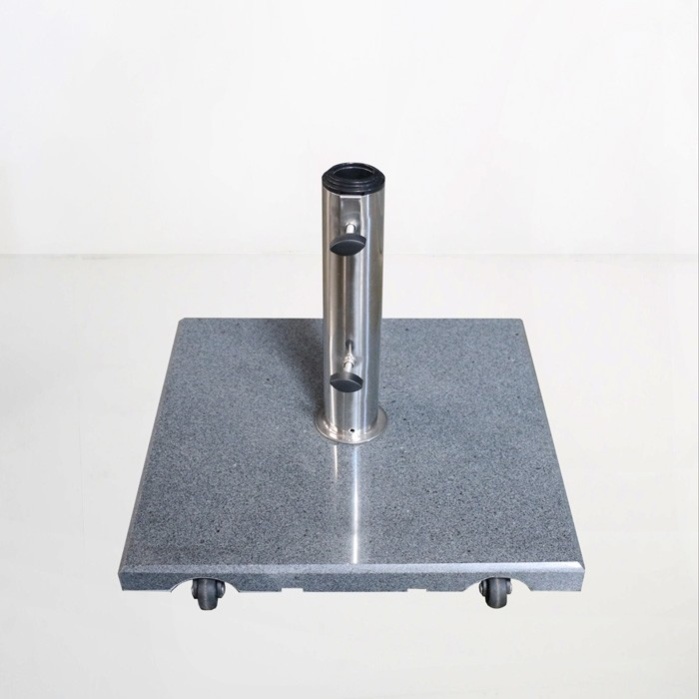 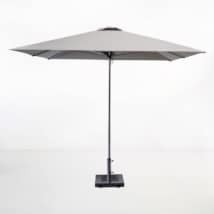 The Sienna Granite Umbrella Base is made of granite and stainless steel with a weight of 80 lbs with wheels for easy maneuvering.. 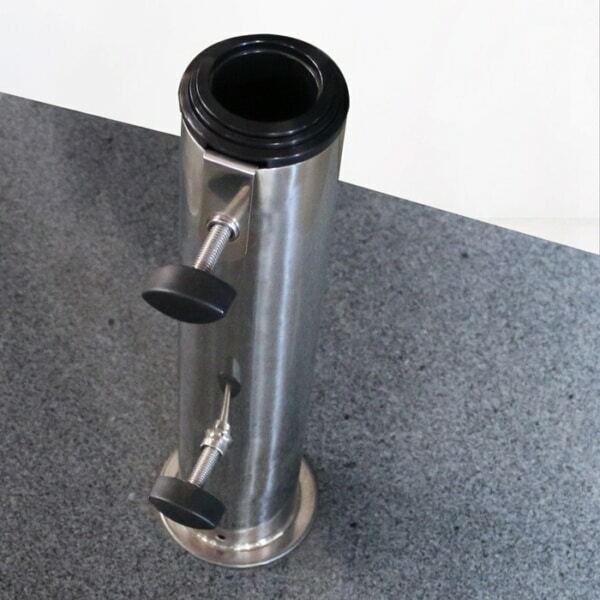 This umbrella base fits umbrella poles with up to a 2” diameter. Please call us today if you have any questions about this patio umbrella base or about any of our products. 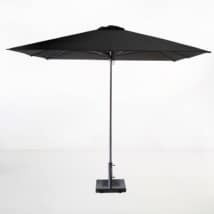 W18.5" x L18.5" x H3"